The winter ends, the warm weather comes, and your next ski holiday is put to the back of your mind. But booking your 2020 ski holiday early comes with heaps of benefits. Keep reading for our top 7 tips on why you should book early. Here at Skiworld we have over one hundred beautiful ski chalets designed to provide you with home comforts during your winter break. We have both catered and self-catered chalets and by booking your ski holiday early you’ll have a huge choice of options to choose from. Whether you’ve stayed in the accommodation before or are looking for something new, we have something to suit everyone’s taste. 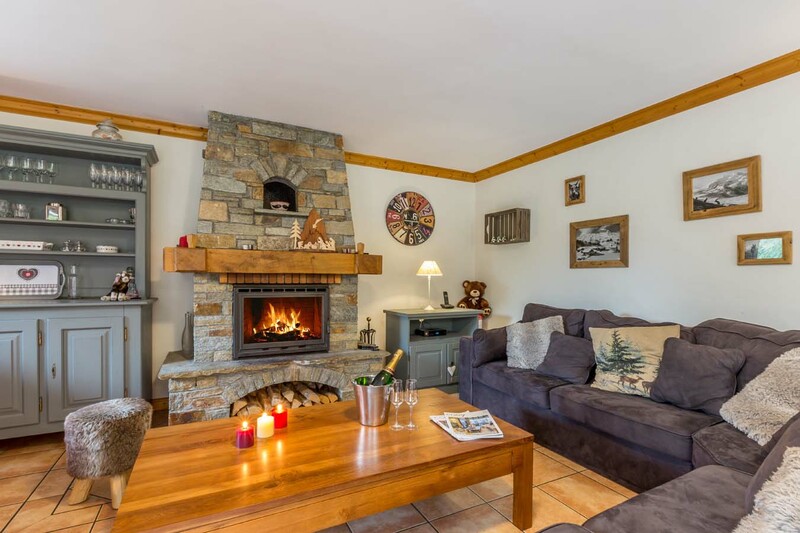 Group holidays with friends are fun and a great way to bond, and when booking early you can often book an entire chalet all to yourself. And what makes this even better? Well, including having a stunning chalet just for you and your friends, Skiworld will give you £50 off per person. 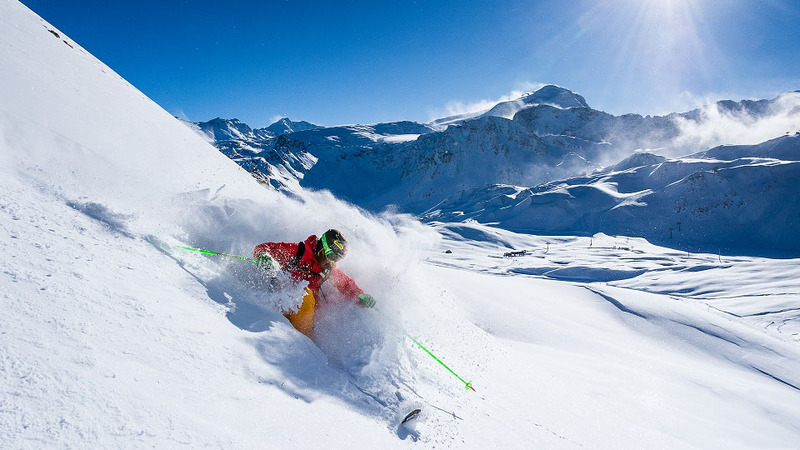 A big benefit of booking your ski holiday early is that you’ll have more time to pay for it. You just put down the deposit, which is only £150 per person, and then you have until 10 weeks before your departure to pay the balance. This allows you to budget and save up each month, and also makes booking a group trip or luxurious option that much easier. If you’ve not been skiing or snowboarding before then you could potentially have lessons pre-trip, such as heading to indoor or artificial slopes. This gives you a head start for when you arrive at the resort and can allow you to explore so much more. By signing up to the Skiworld newsletter you’ll get regular updates on our latest ski deals for 2020. This helps you book a bargain before anyone else. You can also find our current offers on our ski deals page, such as Ski-All-In where you can save up to £235 per person. These holiday deals start from £657 including lift-pass and ski hire. Winters can seem dreary and depressing, but by booking a ski holiday in advance you’ll have something to look forward to. Being up in the mountains, surrounded by snow, beautiful landscapes and immersed in clean fresh air is an amazing experience, and also the perfect way to escape and de-stress from everyday life. If you fancy heading a bit further afield, then a North America ski holiday might be for you. North America is all about booking early and unlike Europe the holidays tend to get more expensive the closer you get to departure, but also unlike Europe the USA and Canada resorts have big incentives to book early. Such as up to 50% off room rates and free room upgrades are pretty typical. These decrease the closer you get to departure and are only available through tour operators. Click here to see our early booking offers for Canada. Other benefits are that resorts in USA and Canada tend to have quieter slopes compared to Europe, and it’s also easier to go for longer, such as 10, 11 or even 14 nights. So are you convinced as to the reasons why to start booking your ski holiday early? Remember, if you do start your search and find exactly the same holiday package elsewhere, then give us a call and we’ll price match it. Please note: Offers and deals applicable at time of writing and subject to availability. Visit our Ski Deals page for our current offers. 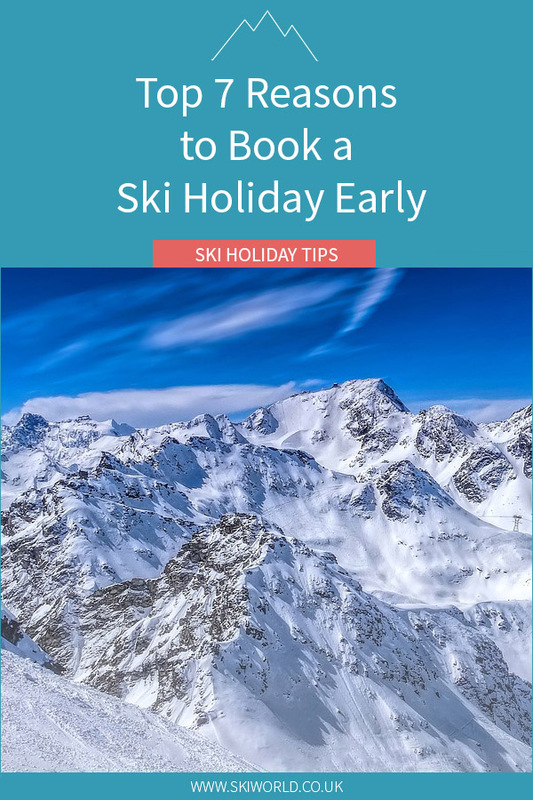 Share the post "Top 7 Reasons to Book a Ski Holiday Early"